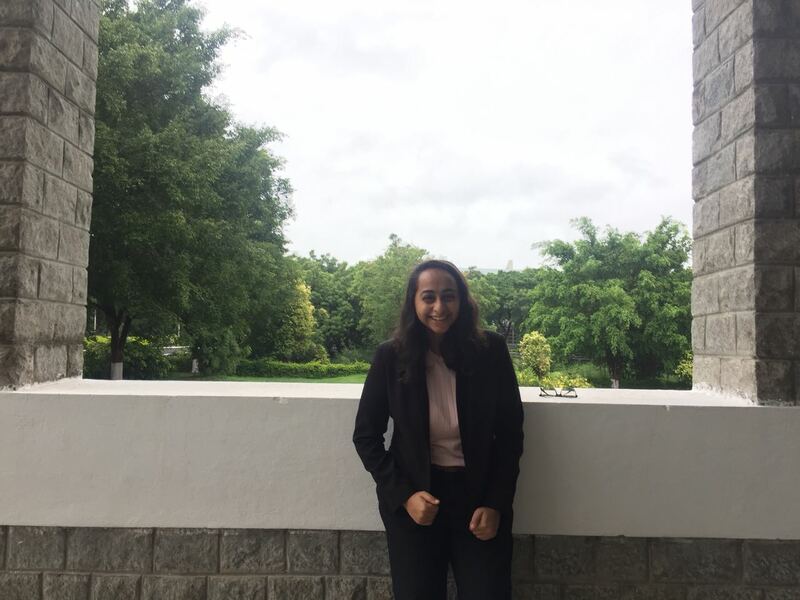 Shrudula Murthy is a first year student of NALSAR University of Law, Hyderabad. Sitting in front of my laptop, typing down this article for CLATGyan is something I had been dreaming of for the last 2 years. Now that I am writing it, I can’t help but be overwhelmed by everything that has happened since. Many people might say that the road to cracking CLAT is one of the most gruesome and tiring one, but it was quite the opposite for me. Taking a drop year and preparing for CLAT became one of the best things that has happened to me. A lot changed with my second attempt in 2018. I will briefly begin with what I studied for each subject, then go on to giving some general tips that worked out pretty well for me. General Knowledge. Once the bane of my existence. It all changed during my drop year when I sat studying GK for more than 12 hours at a stretch and I wouldn’t be bored for a minute. Reading the newspaper and solving questions online from websites like Affairs Cloud, Test Book, Jagran Josh, etc. became more important to me than anything else. Google became my best friend (I know it sounds sad). Google everything and anything! Become a child with that spark of curiosity again. I passed by a street with a name on it and googled that. Read a lot of random facts but when on 13th May 2018 there was a question on exactly that, I knew it was all worth it. Remember CLAT is not going to question you on headlines which everyone knows but on a lot of intricate things. It will surprise you – how much there is out there which you don’t know. For Logical Reasoning, get your hands on RS Aggarwal for sure – it has hundreds of questions for verbal and logical. Practicing that with a time limit will ensure you get at least a 30 in this section. For English, after you get your basics right, keep practicing questions – especially jumbled paragraphs, summaries which aren’t theoretical and require loads of practice. Solve 1 or 2 comprehensions and learn new words every day. Reading editorials with a time limit (20 minutes) not only increases your reading speed but also adds to your vocabulary and static GK. There are several other tricks and hacks I picked up over the year but device a few for yourself and hopefully pass it on in the article you will be writing in the future. Practicing all this would be futile if you do not give mocks. Towards March, I gave almost 2 mocks a day. Analyzing those and understanding where you are lagging is the crux of the entire CLAT preparation. I made an excel sheet with all my scores, sections’ break up and timings. It gave me a sense of direction about what my next step should be. One thing that really helped me was taking the help of seniors who had cracked CLAT previously. Mentors will ensure that you have a strategy in mind, know where you are going wrong and give you the much needed push that you require at times. The three most important things which made a huge difference for me the second time I gave CLAT. Firstly, hard work. The notion that CLAT is for the smartest bunch of kids is a lie. Being an average student throughout my life, I always doubted my ability to crack the exam. That coupled with the fact that everyone believed it depended on luck gave me major anxiety. During my second attempt, I put in everything I had. It gave me reassurance that luck had no role in determining my success and that I was responsible for all my actions. I used to read the newspaper on the way to college, solved logical reasoning and math during class knowing that I was going to make it. Working hard would mean nothing if you don’t have a clear-cut strategy. This brings me to my second point. It all comes down to working smartly. No one is going to look at how many hours you have put in. Make a strategy, stick to it. There is no point in slogging your way through one chapter of math for hours together, when you know it will come for a maximum of 2 marks. Most importantly, nothing I have said above will make any difference if you don’t keep your mental health in check. When people ask me, what changed the second time I gave CLAT or why I couldn’t crack it in the first attempt, the answer is always this- I kept my calm. It is very common to have break downs and feel hopeless during your preparation. It is only after you pick yourself up and get back to the grind will the effort show. CLAT more than anything will test your patience and strength. Having faith in yourself when no one else does, is the most important thing you can do. Mock scores will waver, GK will seem never ending and math will be tougher than all the calculus you have studied. It is the larger picture you must keep in mind while putting in everything you have. More than anything, have fun with CLAT. It makes all the difference. After that, irrespective of whether you make it or not, you can still be proud of everything you have achieved. There is a lot more in store than just cracking CLAT. This realization was the turning point for me. No matter where you end up at the end of the line, you can achieve wonders and be happy. Keeping your calm during those 2 hours on D-day despite any glitches is what will differentiate you from the odd fifty thousand students writing the same entrance. It still takes me a minute to comprehend that I made it and am studying in NALSAR. It is only when you are sipping chai in the evening or sitting on the bleachers, taking in the beautiful campus, that you look back and know everything was worth it, that you made it and everything is exactly how you thought it would be, probably better. PS- Please feel free to contact me for any help with resources, preparations, doubts or to rant or even cry over life in general :p. I’ll try my best to help. Please leave a comment below in case you have further queries; Shrudula will reply to them. In case you are desperately in need of a Personalised Action Plan, please read this. Thank you so much, your words have really motivated me, since I am a dropper too, aspiring to pursue law in an NLU. Hi, make sure you read the newspaper everyday and spend time on online websites such as – affairs cloud, yearbook, jagran Josh and take their quizzes. Apart from this branch out from the gk questions you get in mocks or ona day to day basis. Apart from that at the end of the month go through pratiyoita darpan and compendiums – Career launchers ,clat than or anything you find helpful. Hope this helped. Be consistent with Gk and make notes as and when you read important things. It will be handy in April. Thank you so much. Being a dropper myself, these words really motivated me. But can you tell me how much you scored the first time you gave exam. Thanks a lot for this article!! I am in 12th and will b appeating for Clat 2019. Actually, as u said at the end .. i.e, for any king od help in preparation nd resources to contact you, so how shall I contact you?? I need your help a lot!! Please let me kbkn how to contact you. Hai my son is studying 7th std.he is interested in lawyer profession.please guide me which syllabus he has to follow NCERT or state board. This was really helpful. Thanks a tonne. This is great, Shrudula. I’ve read this many a times. Also, lost touch with you but i need help.